With 28 matches in the books for most teams after today, only 10 matches remain in the 2018-19 Premier League campaign. Some clubs will be confident that they will maintain their Premier League status next season, but some clubs are yet to see the light at the end of the tunnel. Huddersfield Town find themselves in the league basement with a mere 14 points and their schedule will only become more difficult toward the end of the season. That being said, Huddersfield Town will be excluded from this analysis. This leaves us with seven clubs to analyze and determine who has the most difficult string of matches to close out the season. Newcastle United have not avoided relegation just yet, but they are close to checking that box off their list. The Magpies had a rough start to this campaign by failing to win in their first nine matches, but things are looking brighter on Tyneside as the Toon have won eight matches and drawn seven to earn 31 points before March. Seeing that Rafa Benitez's side will close out the season against Crystal Palace (H), Leicester City (A), Southampton (H), Brighton (A), Liverpool (H) and Fulham (A), Newcastle United have the easiest path to survival, and they might avoid relegation in the next few weeks. Burnley's loss to Newcastle United on Tuesday marked their first loss since December 26th. The Clarets were in top form over the last two months and this enabled them to climb the table rather quickly. Having taken four points from Manchester United and Tottenham in recent weeks, Burnley are showing some much-needed urgency. The problem, however, is that they could start slipping down the ranks due to their rigorous schedule to close out the season. Sean Dyche can only hope his side earns enough points by mid-April because their final four matches are against Chelsea (A), Manchester City (H), Everton (A) and Arsenal (H). 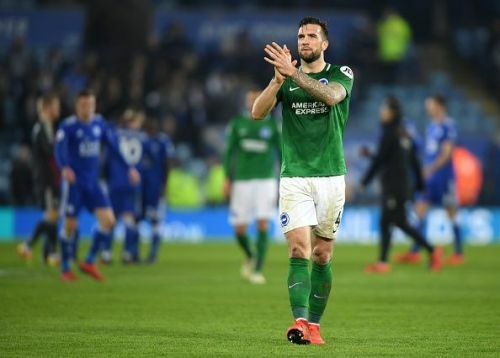 Brighton were a pleasant surprise last season and they continued to exceed expectations this term as well, but their recent form is generating pessimism among supporters. The Seagulls were well ahead of the relegation pack a few weeks ago, but they have only earned two points from their last six matches. As a result, Chris Hughton's side are back in the relegation mix. To make matters worse, Brighton's final six matches are no walk in the park. Starting in early April they will take on Tottenham (A), Bournemouth (H), Wolverhampton (A), Newcastle United (H), Arsenal (A) and Manchester City (H). Brighton are far from being safe this season. Southampton are traditionally a mid-table side, but they have underperformed for the second straight season. The Saints have their supporters on edge as they are on the brink of being relegated so late in the season. Southampton's last few fixtures are not as bad as some other clubs, but they cannot afford to drop points. Southampton players after losing to Arsenal over the weekend. 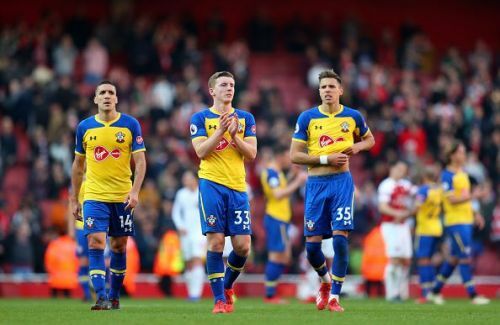 In their final six matches, the Saints will face Liverpool (H), Wolverhampton (H), Newcastle United (A), Bournemouth (H), West Ham (A) and Huddersfield Town (H). That final match at home could determine their fate for next season. One cannot help but feel bad for Cardiff City. The newly-promoted side has struggled this season and the death of their record transfer signing, Emiliano Sala, made things even more difficult for the Welsh side. 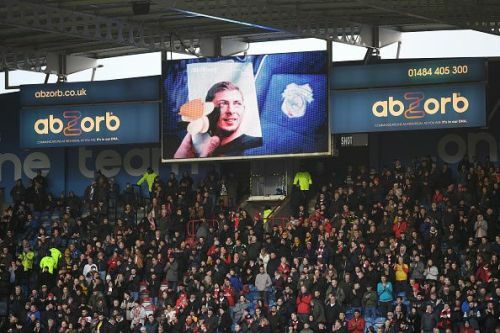 A tribute to Emiliano Sala during a Premier League match. In their final six matches, Cardiff City will go up against Manchester City (A), Burnley (A), Liverpool (H), Fulham (A), Crystal Palace (H) and Manchester United (A). Cardiff City will have their hands full and their odds of survival look slim. Last, but not least, we have Fulham. The London-based squad can blame their horrible defending for keeping them in the bottom three for several months. Claudio Ranieri's men have conceded a league-worst 61 goals this season and that is a recipe for relegation. Fortunately for Fulham, they still have a chance at avoiding relegation, especially when looking at their final few matches. Starting in early April, Fulham will take on Watford (A), Everton (H), Bournemouth (A), Cardiff City (H), Wolverhampton (A) and Newcastle United (H). Their schedule is not lenient, but they do not have to play any teams in the top six.